Zagarrón, wines and wineries, based in the municipality of Mota del Cuervo (Cuenca) in the heart of La Mancha, was created in 1948 by a group of wine growers who decided to join forces and make wine together. The winery has, of course, evolved over the years and today its 615 wine growers work more than 6,300 hectares of vines. In addition to having vineyards in the La Mancha D.O., our winery produces Tierra de Castilla IGP/PGI and varietal wines. We also produce Sangria and Non-Alcoholic Beverages from fermented grapes. Zagarrón, Vinos y Viñedos remains totally committed to the environment, as well as to its social responsibility policy, which is a source of great motivation to our employees, partners and consumers. Thanks to the excellent reputation that the winery has built up over the years, it has been able to increase its bottled wine sales in Spain and reaffirm its presence in international markets, where 85% of the production is sold. The wines are exported to the United States, Canada, China, Japan, France, Sweden, Belgium, Poland and other European countries. Copyright © 2018. 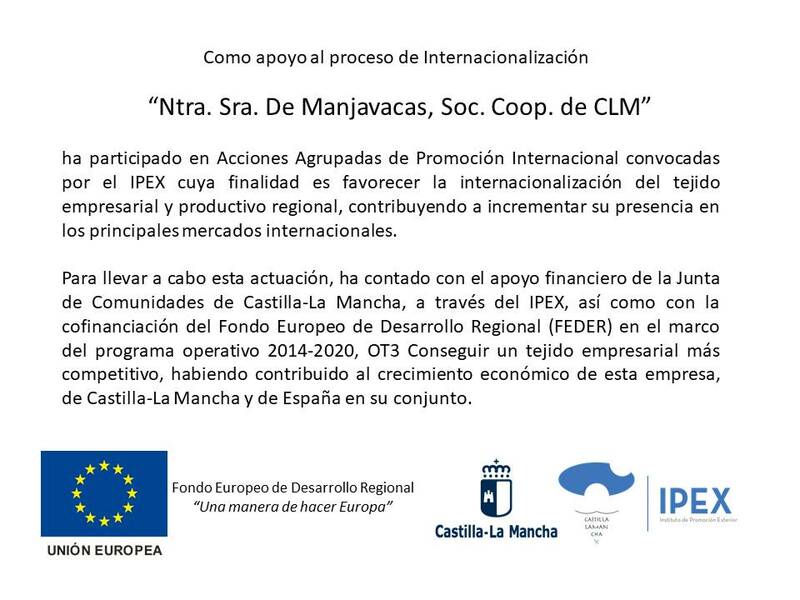 COOPERATIVA MANJAVACAS marca registrada. Todos los derechos reservados.